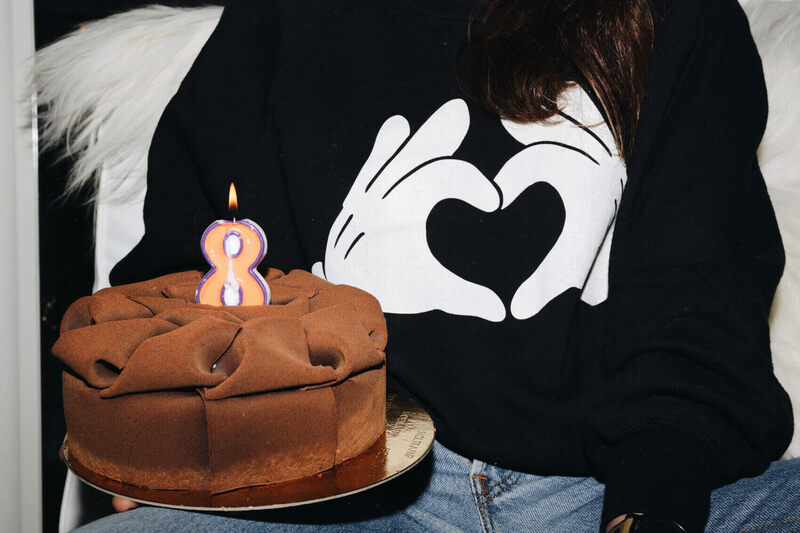 It suddenly hit me at the beginning of the week, that the end of the month was near and with it, StyleScrapbook ‘s 8th Anniversary…Every year I try to express as well as I can how overwhelmed I am to reach another year together, I can barely believe it has been 8 years since I wrote my first post. So many things have changed since then, but the essence has always been the same. There are so many plans, so many things I want to do and this blog – my baby-, has given me a world of opportunities, which I will be forever grateful for. Big personal changes are coming for me soon, a lot of you guys have followed my journey for so many years and I can’t wait to share this with you! THANK YOU, THANK YOU, THANK YOU!!! And Happy 8th Birthday to my baby!!! These inspos are just perfect! Happy happy BDay to my favourite blog ever. 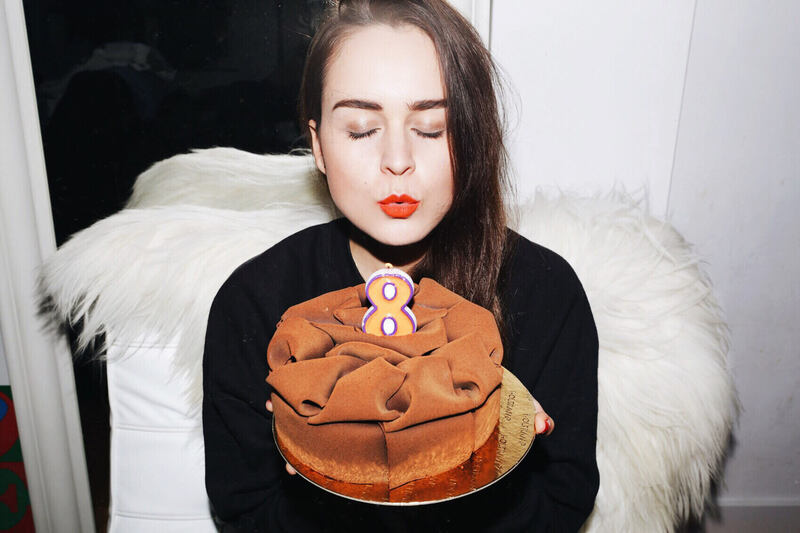 Happy 8th Anniversary to StyleScrapbook! You deserve it all! You worked so hard on it! Hope I can achieve something as reward full as this! Llevo siguiéndote poco más de cuatro años, eres una verdadera inspiración de moda, como de superación, logro y autenticidad. Seriously Andy, is that a cake? It looks like a very well folded piece of satin or velvet. Gosh I love the folds on top of it. Congratulations on the blogoversary *yippee*. Cheers and here’s to more of such awesome content. a delicious chocolate cake!!! Thank you so much babe!!! Happy birthday and congrats on your achievements! Felicidades Andy, te sigo desde el comienzo y te admiro muchisimo sigue adelante mucha suerte vayas dònde vayas tus seguidores te siguen. Oh, happy b-day Style Scrapbook! I have been following you for almost 4 years! Congrats for your success! Congratss and to many years to come!! Congratulations! You have a great blog. Happy Birthday to SS! Congrats on 8 amazing years and consistently fab content Andy! Congrats Andy! Is always nice to see your posts and follow your journey. Your Followers and your Great job had made stylescrapbook successful and fun – You got that “Je-ne-sais-quoi” and that is just irreplaceable! Happy birthday to your baby Andy! Congratulations! Keep doing what you’re doing! Congratulations Andy! Your blog will always be my favourite! Ah congrats Andy! You are doing a great job. Keep rocking your blog! Te mando felicitaciones desde México, espero que sus éxitos continúen. Felicita también al fotógrafo quien también ha ido creciendo y sus fotos son excepcionales, salúdalo de mi parte, me inspira en la fotografía y tú en tu estilo y esa manera tan única de ser. No me pierdo ninguno de tus post. Un abrazo Andy y Richard. Happy birthday! You’ve come a long way girl! May there be a lot of success and great things coming your way! Congrats! 8 years is a long time! Keep up the good work! Congratz girl! Still love following you! I’ve been following you for the past 4 years and I loved every single post! You’re amazing and a source of inspiration. Keep it up and never give up, dear! Congratz Andy!! Been following for more than 4 years and I can say that you’re really dedicated to this baby blog! Keep it up! You’re such an inspiration! Congratulations on this milestone! This is certainly a reflection of your hardwork and commitment and I can’t wait to see more. 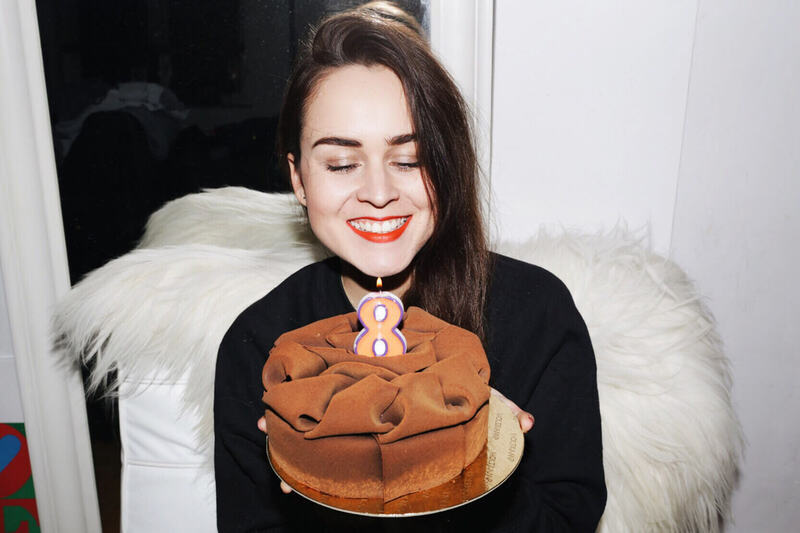 Happy Birthday to this incredible blog and inspiring Andy! 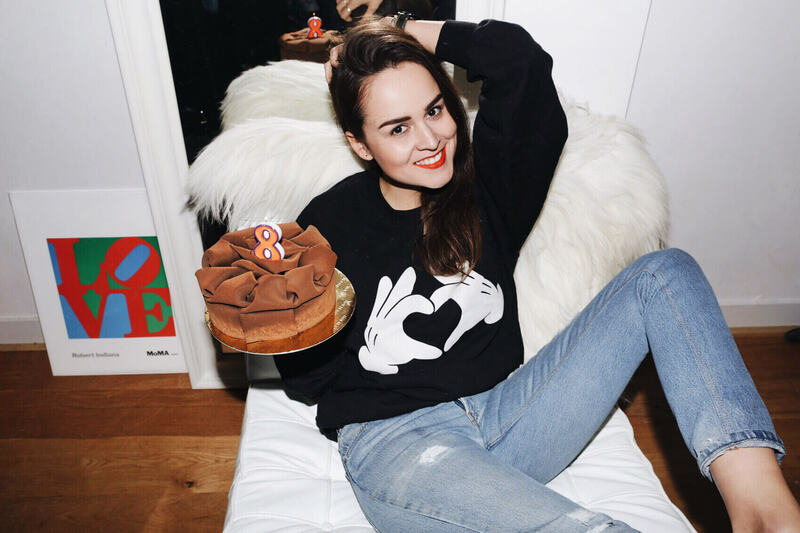 You are on of the best blogger to me and I wish You all the best along your way!!! I’ve been following the blog since years together with some others but I can absolutely affirm it is the best one, as you always manage to express yourself. What about doing some new DIY projects? I loved them! Wow! 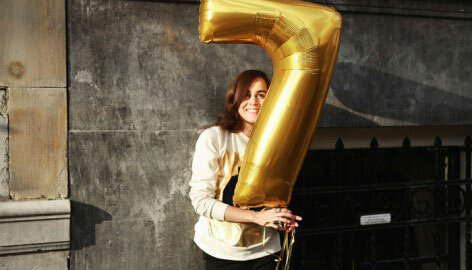 Happy b-day :) started following your blog one year ago and truly felt inspired specially by your personality. Wish you all the best! Happy birthday to you and your baby :) Cheers!